As we edge closer to MWC (it kicks off in Barcelona in a fortnight), we can expect to see more teases and leaks about the products that will be revealed there. This year looks like it will be a hot one, with a major milestone in design trends established in the smartphone business - the foldable screen smartphone form factor. But that won't be all there is to see. For example, it looks like Microsoft will be unveiling the long awaited HoloLens 2. Microsoft will be hosting an MWC 2019 press event just ahead of the show, on Sunday 24th Feb. Microsoft Technical Fellow and HoloLens inventor Alex Kipman today teased an unveiling and, though it is rather cryptic, it can only really be the HoloLens 2 we are being teased about here. The video comes from Kipman's own personal YouTube channel, rather than Microsoft's. In the description you can read "Are you excited yet? I am!" It is hard to sum up the video content; you see futuristic silicon processors and space rocks morphing into other objects and fibre cables, as well as some hexagonal structure details. At the end of the video the text characters from 'Barcelona' rapidly flash on screen followed by the MS press event date. Microsoft's HoloLens has been a surprise money spinner for the firm, as back in November it was reported that it won a $480m US Army hardware contract. This backing should be good for the project and its growth. The new HoloLens should have better modern hardware and is expected to be more accessibly priced. 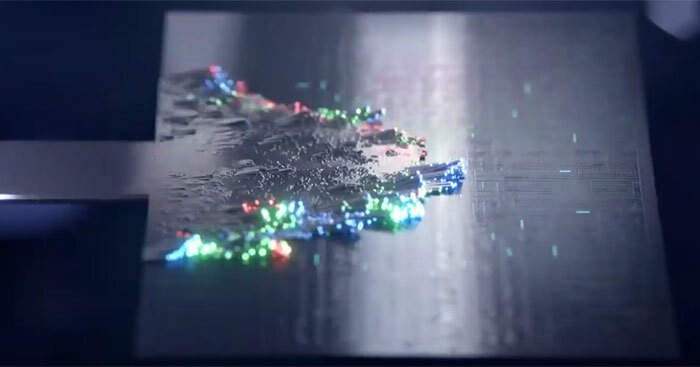 Samsung seems especially busy with its MWC tease programme. In mid-January we saw the huge billboards in Paris informing readers of Korean text that "The future unfolds… on 20th February". Then it released the 'Samsung Galaxy: The Future' video about a week ago, featuring a foldable smartphone, among other things. Now it is back with a Future Unfolds video featuring lots of rolled edge animated Korean and Latin typography (embedded below). In the video description Samsung says that "The future of mobile will unfold on February 20, 2019. #SamsungEvent #Unpacked". Previously we have reported on LG teasing a gesture control smartphone. Meizo and Vivo will probably highlight their hole-less devices. Xiaomi might have a double folding smartphone on show. Nubia (ZTE) will have a flexible devices on show. HMD Nokia has teased its Penta-lens smartphone. Huawei looks like it will be joining the foldable fray too.